There’s a big holiday coming up later this week in the fabulous USA- 4th of July! We take 4th of July seriously in our house. In fact, we begin celebrating on the 3rd with a barbecue, friends, family and fireworks. Then we repeat it all over again on the 4th. Does anyone else go crazy-overboard in celebrating? It’s the best! I suppose it’s also a reason to have a party. And my family definitely loves to have parties and entertain. It’s so easy to grill, and make some salads and side dishes to offer guests. 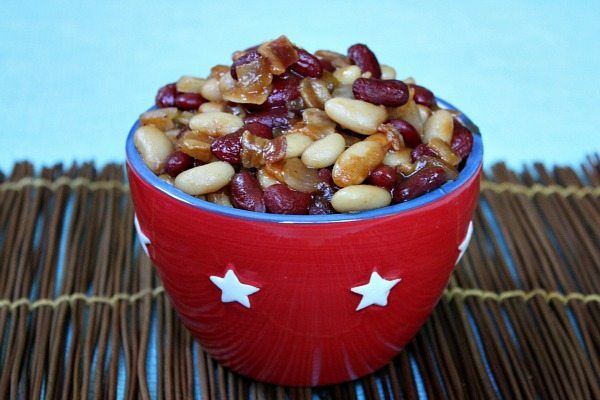 These Sweet and Spicy Baked Beans are definitely going on our menu this year! Now, when I say sweet… I mean that there is a sweetness to these beans, but not overly so. And when I say spicy… I mean that there is a spice to them, but not crazy-spicy (unless you WANT to make them crazy-spicy). 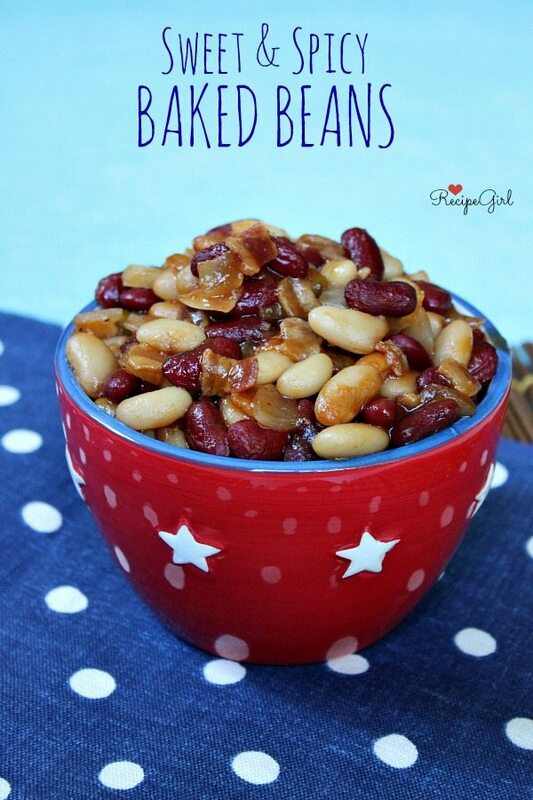 For bacon lovers, I’ve added a good amount of bacon to these beans too. Bacon makes baked beans 99.2% better. The recipe serves a small crowd (about 10 servings), so it’s perfect for serving for a summer barbecue. 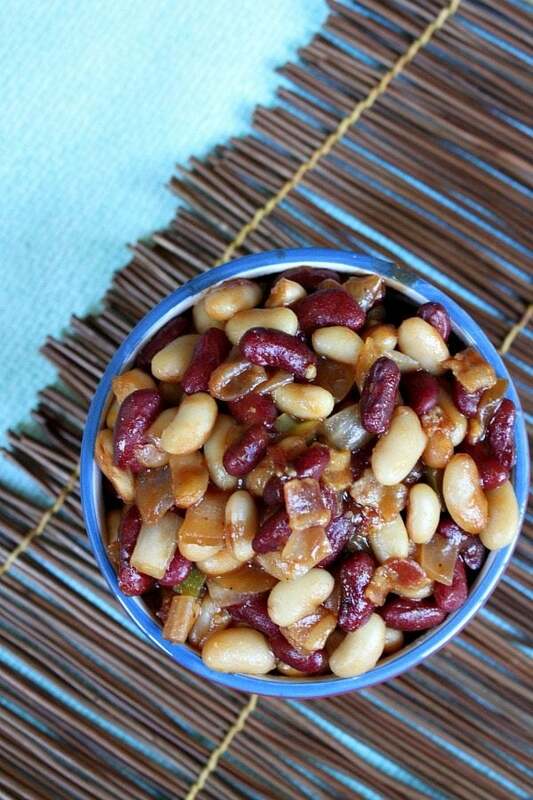 Your guests will love the fact that you made “homemade” baked beans (even though we’re starting with canned beans here) instead of the usual canned kind that – to me- are a bit overboard with syrupy sweetness. These beans should make you happy. It’s kind of funny because I have never really been a fruit-pie kinda girl. Fruit pies remind me of grandparents, for some strange, unknown and totally ridiculous reason. My pie of choice has always been something of the cream pie variation. 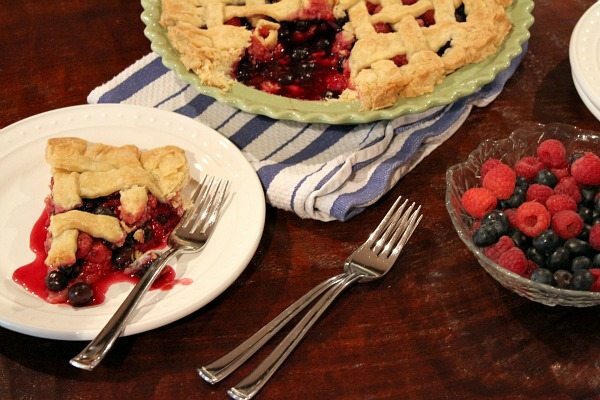 But lately, I’ve been craving berry pies (like my grandmother used to make). Maybe it’s my age. Maybe the 40′s are the time in your life where you start leaning more towards “grandma-ism” and less like that college kid you used to be. Geez, I hope not. And I’m totally kidding. I’m still a college kid at heart. I mean… I listen to AC/DC and Maroon 5! I actually do love a good pie. And by “good pie,” I mean GOOD. A worth-the-calories kind of pie! This Raspberry- Blueberry pie recipe is that sort of pie. This is a so-simple recipe. 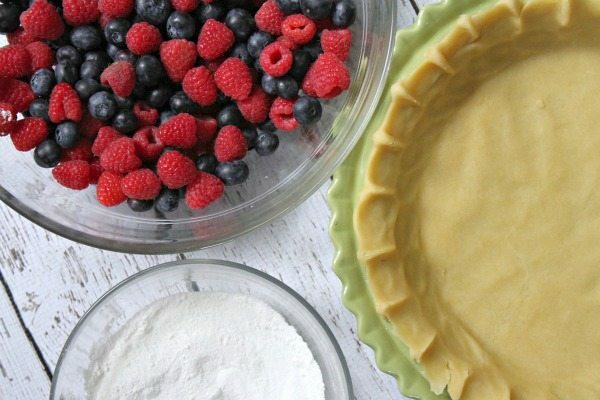 If you’re not into making pie crust (and by the way, I totally understand if you’re not because I’ve never been awesome at making them myself), you can use store-bought. HOWEVER, I do need to tell you that Ree Drummond’s recipe for Perfect Pie Crust is super simple to make, and it turns out the most delicious, flaky crust. 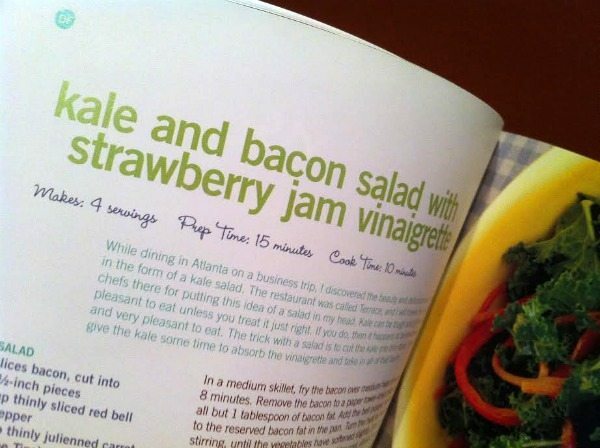 That’s the recipe I used here. Have I mentioned how easy this pie is to put together? It’s a pie recipe for everyone above… pie-challenged people too! 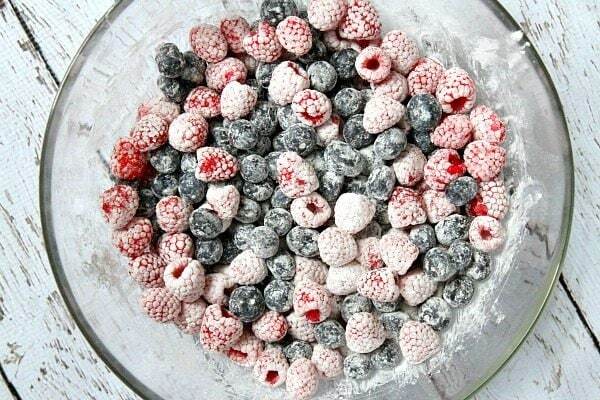 Fresh, beautiful summer berries are tossed with sugar and cornstarch. That’s all they need. 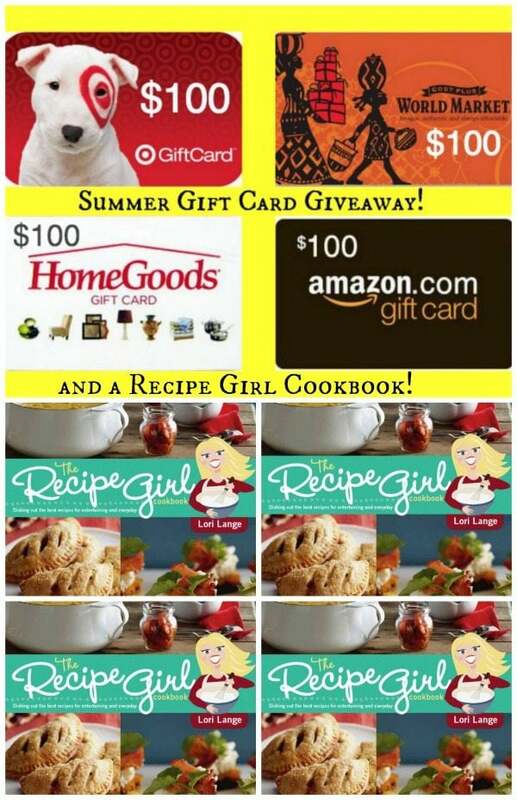 I have a fun giveaway for you today… it’s a summer entertaining, gift card, Recipe Girl Cookbook giveaway! And FOUR of you will be lucky to win! In today’s giveaway there will be FOUR winners. 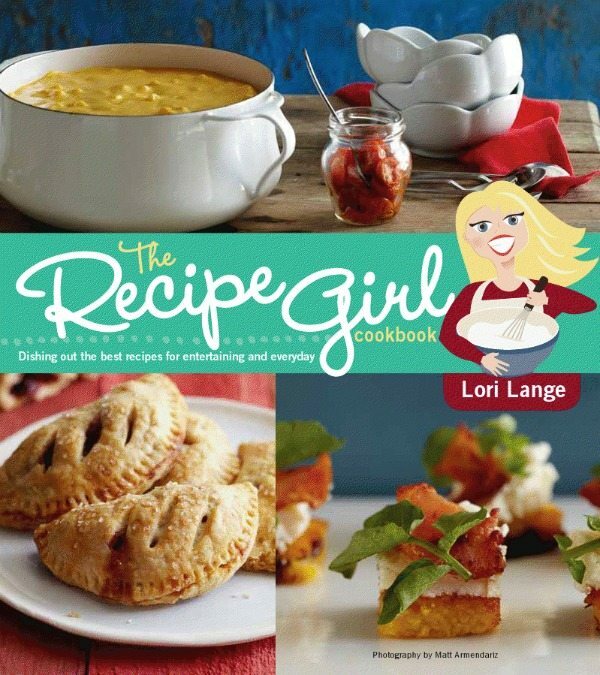 Each winner will receive a signed copy of The Recipe Girl Cookbook and a choice of one of the gift cards listed above- delivered electronically to you via email. This giveaway is open to everyone- worldwide. But I’m thinking that if you’re not in the USA, you’ll probably want to choose the Amazon Gift Card! 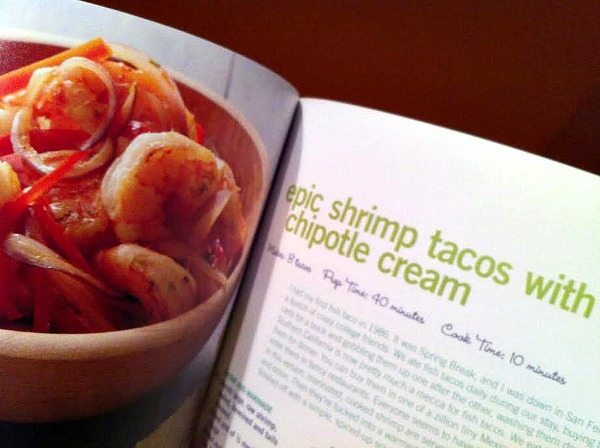 So let’s talk about The Recipe Girl Cookbook for a minute- I’d like to show you how it can be helpful for summer entertaining and meal ideas. 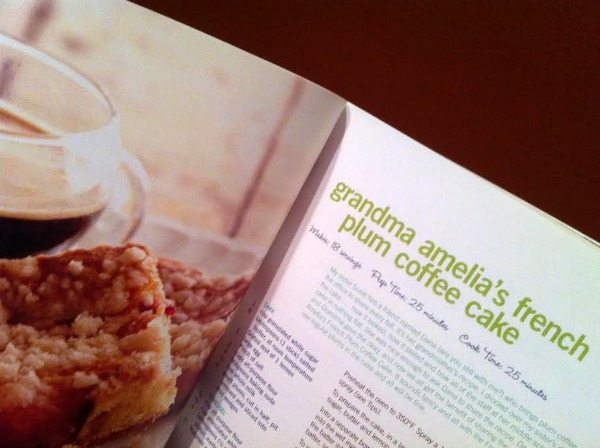 80% of the recipes in the book are brand new, created just for the cookbook (never published on RecipeGirl.com). 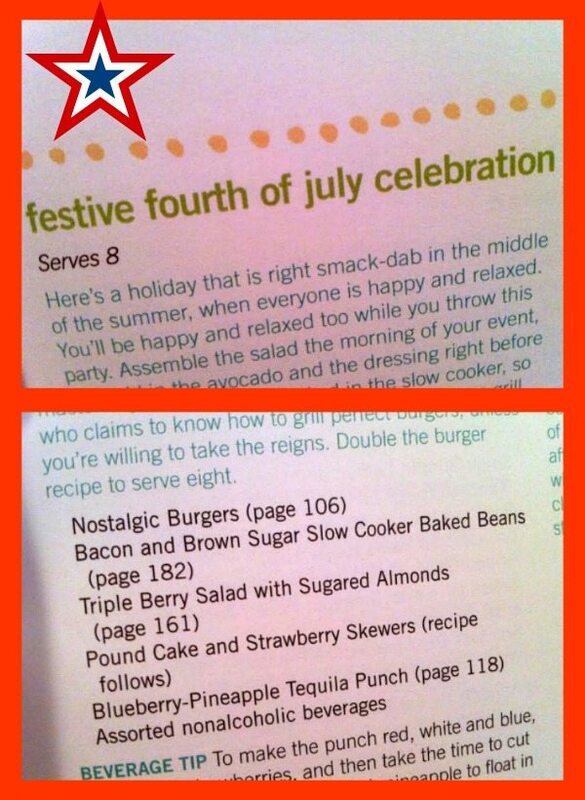 So that means that 156 of the 195 recipes… you’ve never seen before! The remaining 39 recipes are total website favorites. 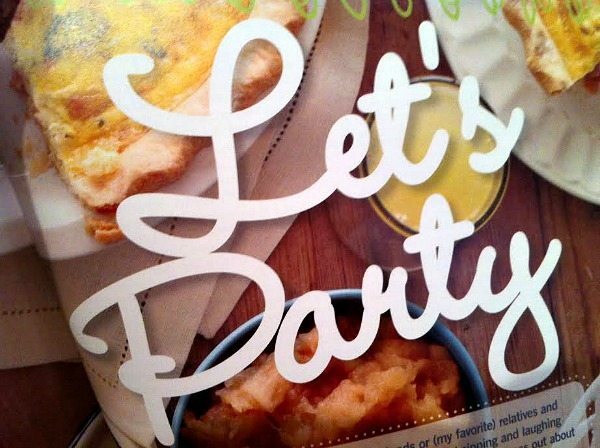 Besides the recipes, there is a section of the book called, “Let’s Party!” This section contains 20 themed menus for entertaining. Here’s an example of what one of my themed menus looks like. I also include simple tips to help make your party stress-free. 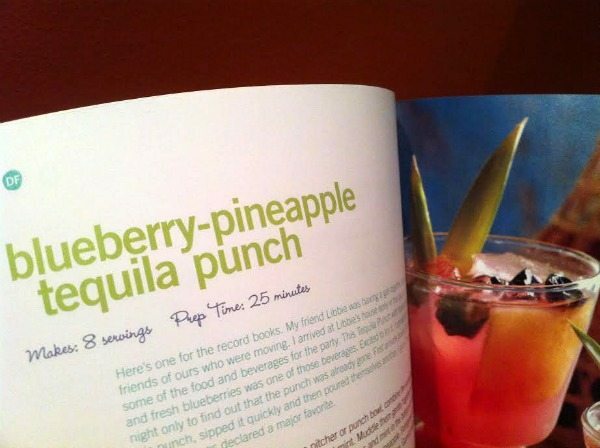 Oh, and this Blueberry- Pineapple Tequila Punch is one of my absolute favorite recipes. And it’s perfect for summer! 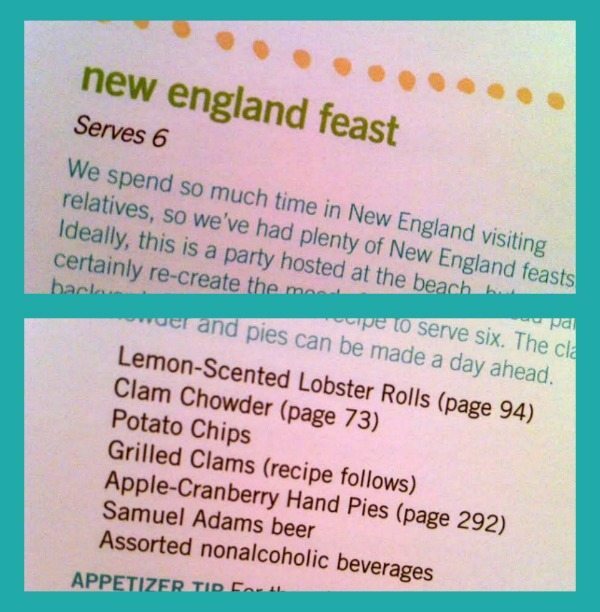 In the book, my love for New England (Boston, in particular) is evident… so I had to include a New England Feast party menu too! These fish tacos are indeed pretty epic. And… my favorite ice cream of all time!!! I also share a much more awesome version of the typical 7-Layer Mexican Dip. This recipe is life-changing. And this coffee cake recipe is special because it came from my friend’s grandma. It’s so good and really different than your typical coffee cake. 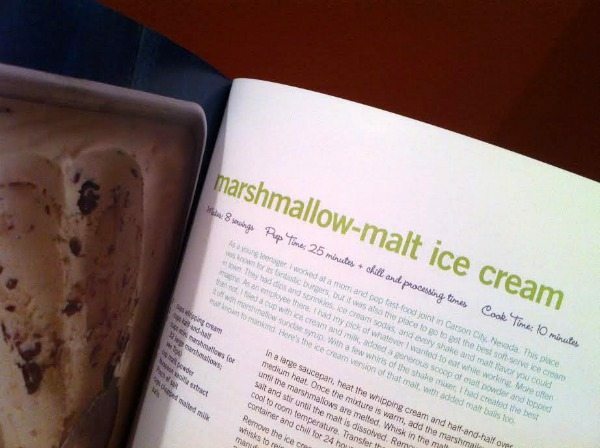 So that’s a sneak peek at a little more of The Recipe Girl Cookbook. You can still order it on Amazon, and it’s available at your local TARGET.. And also Barnes & Noble. Maybe a few other places too! If you don’t yet have a copy, pick one up. 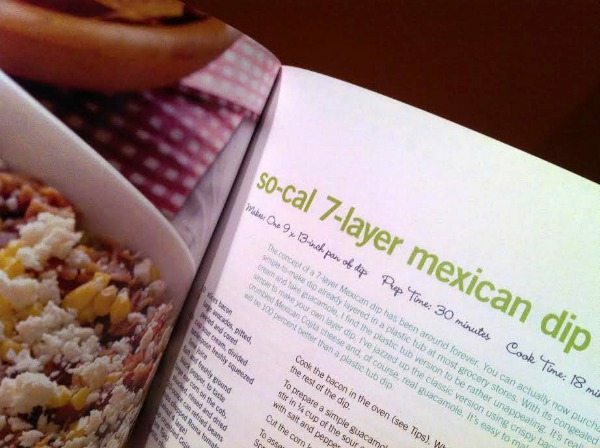 I think you’ll find some recipes inside that you’ll want to make again and again. And now the giveaway! Use the widget below to enter the giveaway. There are all kinds of options for multiple entries. This giveaway is open to anyone worldwide with a valid email address and a valid mailing address. There will be FOUR winners. Each winner will receive The Recipe Girl Cookbook (signed) and each winner will receive a $100 Gift Card (choosing from Target, Amazon, World Market or HomeGoods). GOOD LUCK and HAPPY SUMMER! Here’s another… Stuff I’ve Gotta Share and You’ve Gotta See! Over on Parade Magazine‘s blog last week, I shared > 10 MUST- MAKE MACARONI SALAD RECIPES. I gathered quite a collection for you… classic, bacon, shrimp, spicy, no mayo, summer vegetable and more. I want to try them all! 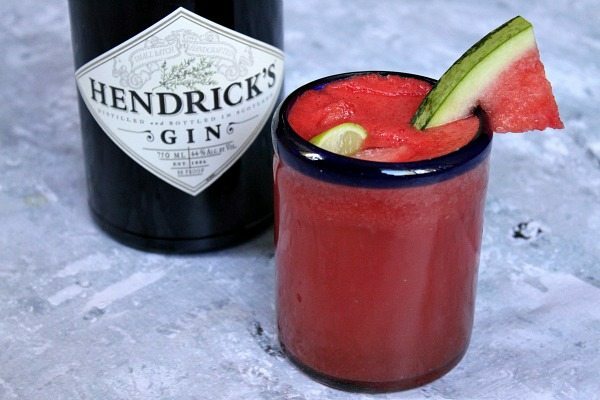 This week on Parade Magazine‘s blog, I shared some recipes that I thought would be fun for Father’s Day > 10 RECIPES FOR DADS WHO LOVE BEER. All of these recipes have something in common– they all have beer as the star ingredient! There’s even Beer Bacon and Beer popsicles!! My RecipeBoy turned 13 recently, and he made some s’mores to share on his blog > CHOCOLATE- CARAMEL S’MORES. 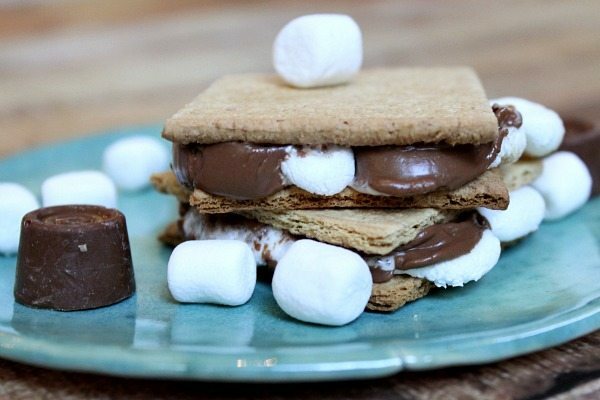 Check out his easy recipe- these were a delicious, new take on the classic s’more. 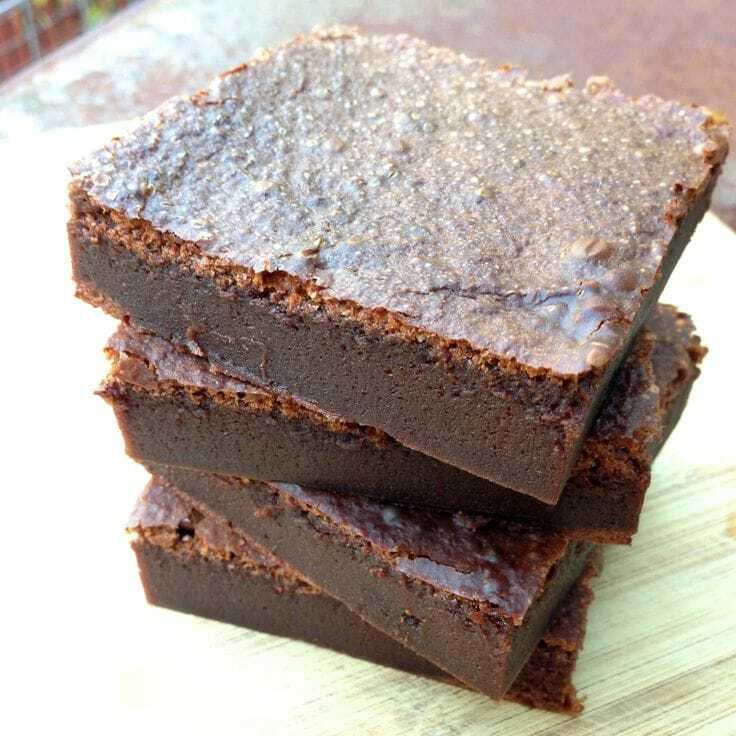 I spotted these 2-INGREDIENT NUTELLA BROWNIES on Pinterest yesterday, and I cannot stop thinking about them. Just two ingredients! I need to try baking them sometime soon. I was at my son’s lacrosse game the other day, and I was sitting next to three gals who were wearing different colors of these flip flops with soles made from yoga mats. They were so cute, and these gals were all talking about how darn comfortable they are. 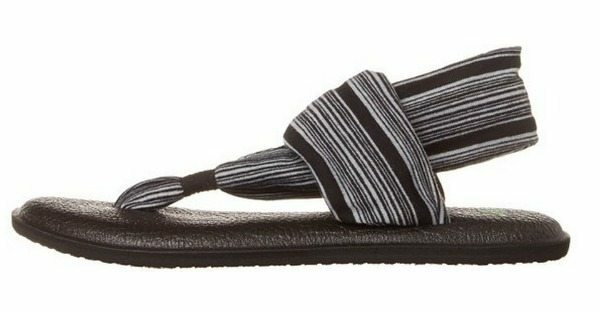 I went home and immediately ordered a pair (I got these black and white ones- only $30) > SANUK YOGA SLING FLIP FLOPS. I love them!!! THE SKINNY FORK: Amanda blogs from her kitchen in Austin, Texas where where she is mom to a toddler. She loves to mess with traditional recipes and turn them into skinnier , lower fat versions of the same thing. A quick stroll through her home page, and you’ll see why I’m loving this blog- YUM! Amanda’s latest post: Healthified Crockpot Pulled Pork with Mustard BBQ Sauce. NEIGHBORFOOD: Courtney blogs from Columbus, Ohio– where she lives with her husband. 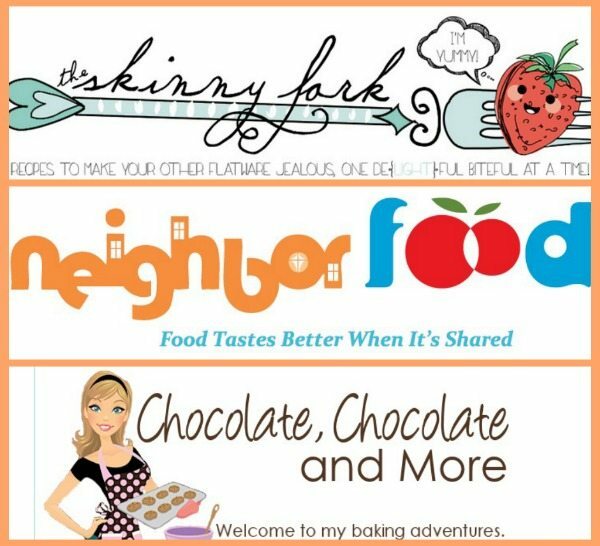 She believes that food tastes better when it’s shared, so come by her blog and grab a recipe! Courtney serves up real food for real people using real butter and local fruits and veggies. She enjoys getting a little adventurous in her kitchen. Her latest post: Dulce de Leche Swirl S’Mores Brownies.